100% Risk FREE! You may cancel anytime for a prorated refund. This plan must be purchased within 30 days from original date of purchase. No deductible. Click here for details. Top Rated Wii Warranty Coverage! Up to $500 of Protection! $34.99 for 2 Years of Coverage! Extend the Protection of Your Wii! When shopping for Wii accessories, be sure that you keep in mind that most manufacturer warranties only last 1 year and most problems that occur with units, most of the time happen AFTER the warranty period has expired. For this reason you need to think about protecting your Nintendo Wii after the original manufacturer’s warranty expires. 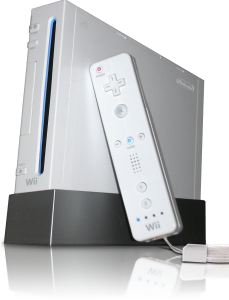 Consumer Priority Service provides extended warranty coverage for the Nintendo Wii to extend the protection of your console and to ensure its continued functionality. The Wii warranty from Consumer Priority Service will extend the original manufacturer’s warranty for an additional 2 years and provide all of the same protection that’s offered under the original warranty period. Don’t be sorry later! Protect your Wii from surges, malfunctions, defects and mechanical failure with the Wii warranty from Consumer Priority Service!